In today’s business world, competitiveness defines the industrial leading edge. Organizations and businesses of all sizes are adopting Lean manufacturing practices to increase efficiency and address worries about their bottom lines. In a detailed review of this staple of Lean manufacturing, Cellular Manufacturing: Mitigating Risk and Uncertainty outlines how cellular manufacturing can do just that. It demonstrates how this approach can help you and your teams build a variety of products with as little waste as possible. 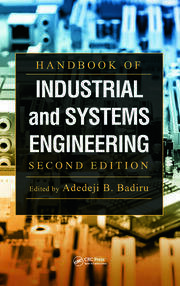 The book begins by presenting a survey of the current state of existing methods that can best be used in the handling of the bottleneck machines and parts problem, which results from the cellular manufacturing system design. It then explores how decision making under risk is used to help the designer select the best cell arrangement in case of probabilistic production volume and maximize the profit imposed by resource capacity constraints. The author then presents a method for the system design of a manufacturing cell that aims for profit maximization over a certain period of time. He also discusses robust design, illustrated with a real application. Put simply, cellular manufacturing integrates machinery and a small team of staff, directed by a team leader, so all the work on a product or part can be accomplished in the same cell eliminating resources that do not add value to the product. 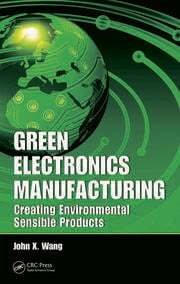 A concise yet unique reference, this book incorporates decision making under risk into cellular manufacturing. The text makes the link that ties cellular manufacturing to the bottom line. It helps you recognize savings opportunities from elimination of downtime between operations, decreased material handling costs, decreased work-in-progress inventory and associated costs, reduced opportunity for handling errors, decreased downtime spent waiting for supplies or materials, and reduced losses from defective or obsolete products. Dr. John X. Wang is the founder and Chief Technology Officer of the Lean Six Sigma Institute of Technology, directing the deployment of lean manufacturing. As a leading expert in reliability engineering, Lean Six Sigma, and Green Electronics Manufacturing, he has taught courses at Panduit Corp., Maytag Corp., Visteon Corp., General Electric Edison Programs, and General Electric – Gannon University Co-Op Graduate Programs. Dr. Wang has served as Principal Systems Engineer at Raytheon Company (where he led projects related to lead-free electronics reliability), as Principal Systems Engineer at Rockwell Collins (where he led projects related to avionics safety and reliability), as Reliability Engineering and Design for Six Sigma manager at Maytag (where he led reliability engineering best practices and Design for Lean Six Sigma training), as a Six Sigma Master Black Belt certified by Visteon (where he led Design for Six Sigma training programs), and as a Sr. Staff Reliability Engineer and Six Sigma Black Belt certified by General Electric (where he led Design for Six Sigma projects and Finite Element Modeling for Reliability Engineering). 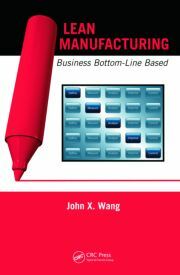 Dr. Wang has authored and co-authored five engineering books and numerous professional publications on Lean manufacturing, business communication, decision making under uncertainty, risk engineering and management, Six Sigma, and systems engineering. Having taught engineering and professional courses at Gannon University and National Technological University, he has been speaking and presenting at various international and national engineering conferences, symposia, professional meetings, seminars, and workshops. Dr. Wang is an American Society for Quality Certified Reliability Engineer and an International Quality Federation Certified Master Black Belt. He received a B.A. (1985) and M.S. (1987) from Tsinghua University, Beijing, China; and a Ph.D. (1995) from the University of Maryland at College Park. Having authored published poetry, Dr. Wang lives in Grand Rapids, Michigan, with his wife and two sons. "This book provides ... new content on developing sequence-based cellular manufacturing by considering probabilistic demand, risk, and uncertainty. This is further linked to the bottom line and profitability. ... The approach is very technical and detailed. The content builds nicely from a general overview to more advanced statistical, design, and risk approaches. ... Cellular manufacturing is typically presented at a high level for process improvement. 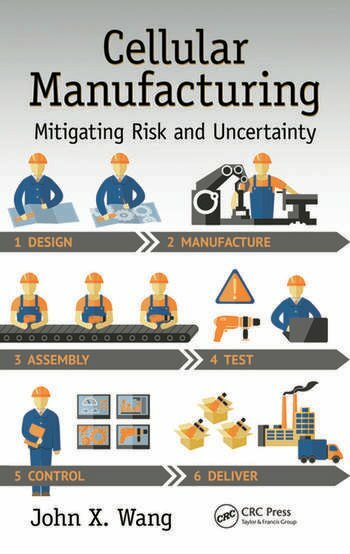 Cellular Manufacturing: Mitigating Risk and Uncertainty covers decision making and risk in considerable depth. This is a must read for technical manufacturing organizations to help reduce uncertainty through process design." "Very well written in simple language to understand easily the related topic. The book covers the survey highlighting the current practices and how to improve the manufacturing techniques using Cellular Manufacturing system."